Last month, as I sped* around Wisconsin to cover the recall election, I took a few photos of the official and unofficial street art cropping up. Some of the best stuff was, sadly, too hard to photograph. 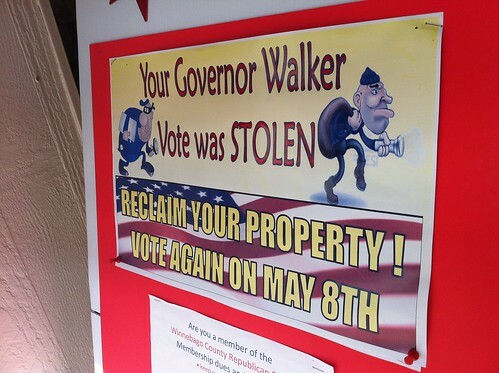 I’m thinking of a woman in Oshkosh who decked out her porch in neon anti-Scott Walker signs, and a Democratic sign that changed the governor’s slogan from “Stand With” to “Stand Trial With…”, a reference to the “John Doe” scandal that has not paid the dividends Democrats had hoped for. This one sprouted in central and northeast Wisconsin; the joke is pretty obvious for everyone who enters the Oshkosh GOP offices. See above. 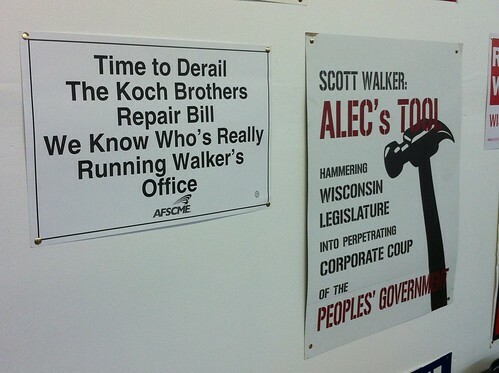 Seen in an Appleton Democratic office. 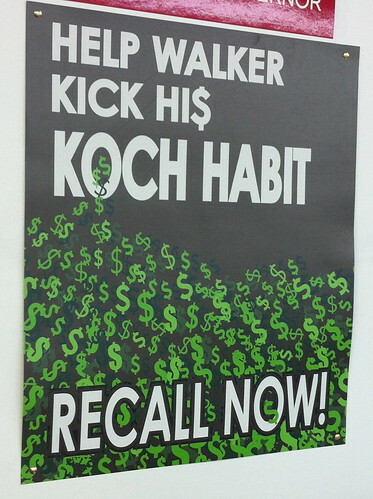 The old Koch obsession of February 2011 is alive, and evolved. Again: See previous slide. 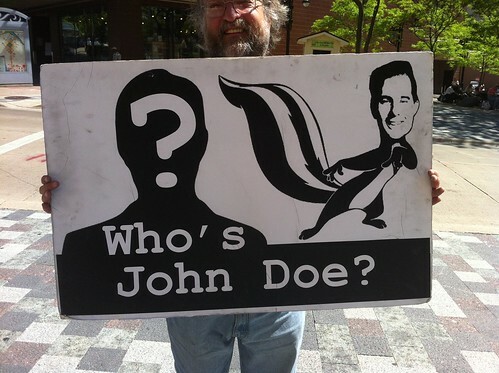 In Madison, where the John Doe scandal – like really any information that looks bad for Walker – has adherents. 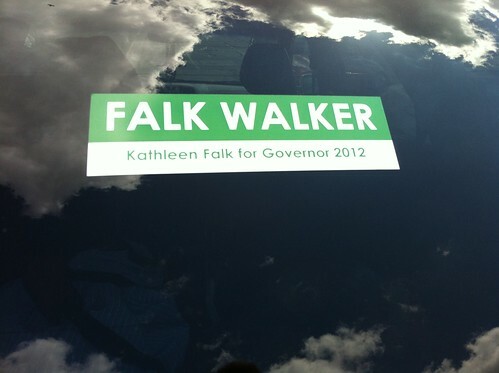 Speaking of Madison… if Tom Barrett ends up losing, I’d expect (and understand) some residual bitterness about how liberal, hard-luck former Dane County executive Kathleen Falk was pushed aside. 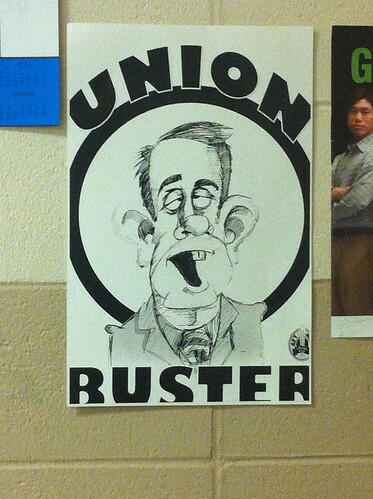 At a union call center in Green Bay. The other perspective, in Milwaukee. 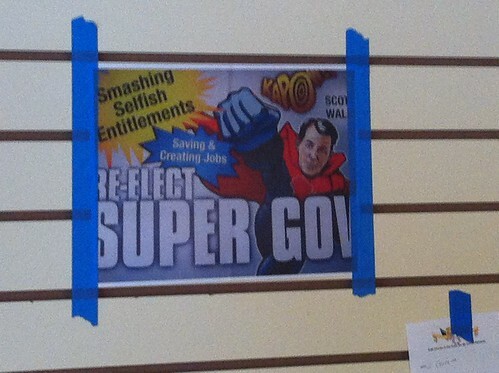 We end with a couple of inspirational frescos from GOP volunteer centers. 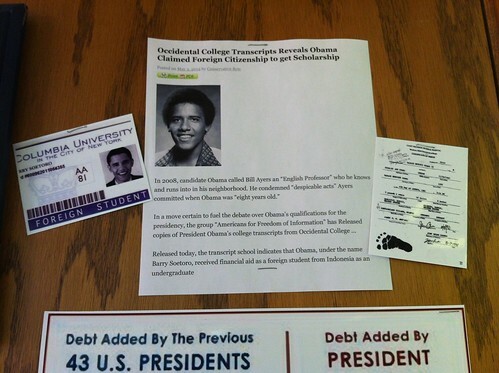 in Fond du Lac: The hard-to-see image on the right is a phony Kenyan birth certificate. Get it? Get it? And back to Oshkosh. 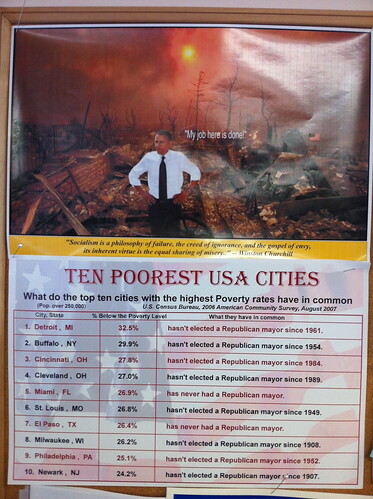 Please notice the number eight city on the list, and then observe Walker’s TV ads. 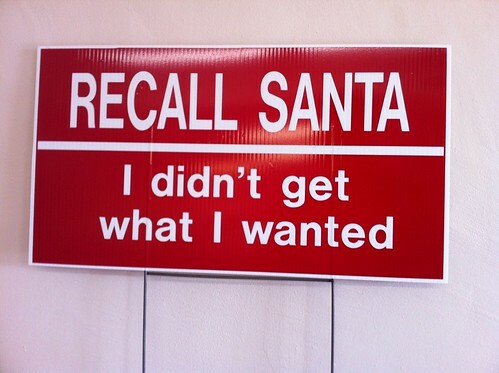 *Kidding! Speed limits were constantly and reverently obeyed.